Chandigarh Florist is Best in Chandigarh. Awesome experience….thank you Chandigarh Florist for making me so happy, you made my day…..you delivered my surprise with perfect timing and the flowers basket look so beautiful with all of fresh flowers…I am surely gonna get u next time whenever i need to send flowers or any gift to anyone in Chandigarh. Thank you very much Chandigarh Florist for your best efforts. First time I have booked something online. I booked it for my wife actually today is her birthday and i want to surprise her with a amazing present. I saw this Pink Roses bouquet with cake on this site and i really like the combination. Other products are also good but i am surprised with this bouquet with special packing, it looks so amazing. When my wife received this arrangement she got surprised and said to me that this is the best gift for her. Thank you Chandigarh Florist for your best service. I booked this beautiful bunch of 12 pink rose tied with special packing &amp; beautiful pink silk ribbon. First time i used this site and I ordered this beautiful bouquet for my Fiancee, she was surprised with the amazing packing of flowers. She called me and said that she was very impressed with the quality of flowers. All were fresh. I would appreciate the service provided by Chandigarh Florist, as it was delivered in 3 hrs time with affordable rates.Excellent service. I want give special gift to my girlfriend and make her feel special on her Birthday but i was confused where to buy the fresh flowers. Eventually, came across this store. I loved this arrangement and ravishing red &amp; white rose arrangement and ordered this beautiful basket of mix fresh roses from this website. When I gifted this basket which is full of mix roses and lush green fillers, she felt thrilled and delighted. I could see the joy and happiness on her face. I am thankful for the gorgeous flowers arrangement from this website. Thank you Chandigarh Florist for your great service. This is my first purchase from this site And i’m really happy with service. I booked my first order with this lilies bouquet for my MOM. My Mom had her birthday yesterday and she loves white lilies. I booked my order on this site because this is Chandigarh local florist and my home city is Chandigarh. I was not in my city because i do work in Delhi. I am very happy with service of this site. Surely i will purchase flowers from this site only in future. Thank you for your best service. I would like to give huge Thanks to Chandigarh Florist for your great service and support. Yellow roses bouquet and Chocolate cake is amazing. My sister is really very happy with my cake ordered with Chandigarh Florist and she said that quality of roses are also too good. You made my day. Thank a lot once again. I would prefer Chandigarh Florist again and again to my all friends and relatives. You made my sister happy on her birthday. For this reason, I give 100 stars rating. Keep it up. Welcome to Chandigarh Florist – Best Gift Shops in Chandigarh | Gifts for every occasion. Customer support excellence has constantly been and could continually be one of the unmatched blessings for any enterprise.Chandigarh Florist gives you online flowers delivery in Chandigarh. Our shop presents a welcoming enjoy for its clients. Ready to deliver or custom floral designs to celebrate any occasion, personal events or any personal celebrations, company needs, funerals, and weddings. Our gifted floral designers create lovely wedding arrangements, with free consultations Furthermore on location reference will help to satisfy your unique goals. Choose from our large display of beautiful hand-tied flowers arrangements and themed preparations for all occasions, with a incredible choice of uncommon floral designs, you can easily buy and send flowers to Chandigarh. You can easily book your order online and decrease your wait time. Chandigarh florist is a major Flowers bouquet and gifts online shop presenting Anniversary and Birthday flowers, cakes, Chocolate Gift hampers and so on in Chandigarh. 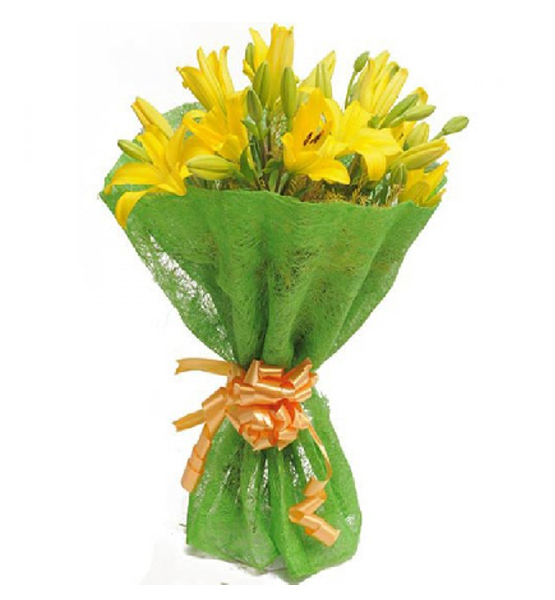 We always try to give our best to our customers so, they can conveniently send flowers to Chandigarh. We provide gifts delivery for same day in Chandigarh and we additionally do mid-night delivery orders for Chandigarh and in nearby areas like Mohali, Landran, Kharar, Panchkula, Zirakpur, Dera-Bassi, Manimajra. Our group of innovative designers and craftsmen makes possible that every delivery of Gifts and Flowers to Chandigarh is done in a completely unique and appropriate manner. We supply delicious cakes, floral arrangements, soft toys, chocolate baskets, chocolate hampers, designer and photo cakes, flowers bouquet, flower baskets and many more gift products in Chandigarh. Our distinct variety of Gift items, Birthday surprises and anniversary gifts is available for same day delivery in Chandigarh. When you purchase flowers online from Chandigarh Florist not just you are getting the most astounding quality item at an incredible cost, you are buying from a settled leader in the flowers business.Chandigarh Florist is no. 1 florist in city to deliver flowers anywhere. We also deliver in Mohali, Zirakpur, Derabassi, Landran etc. Continuously utilize Quality Products and Fresh Flower arrangements. Every day Gift deliveries crosswise over Chandigarh and in different areas of Punjab. On-Time Gifts and Flowers delivery Chandigarh.